Looking for new flooring can be a lot of work. There are so many options to choose from! From laminate to carpet to hardwoods, there are so many choices with different benefits and downfalls that you have to sort through. One option that has been growing in popularity is engineered hardwood flooring, which offers the benefits of wood flooring with a little more convenience and ease. To help you with choosing the ideal engineered hardwood flooring option for you, we're going to review five popular options. This flooring offers a great look at a middle-of-the road cost as far as flooring can go. It's not going to be the least costly, but it's also going to save you a lot over high-cost stone and wood options. One of the first things you may notice is the unique coloring on this flooring. It's a mixture of lighter and darker wood colorings that can really add to the environment. Each plank is also 1mm in thickness, which might be thinner than other options, but it's still designed to be quite sturdy. Another great aspect of this Acacia flooring is that it can be installed in a number of ways, including nail-down, glue-down and floating floor processes. This allows you to choose the option that will work best for your home and installation capabilities. Or if you choose, you can call in a professional. This flooring has a really great look. 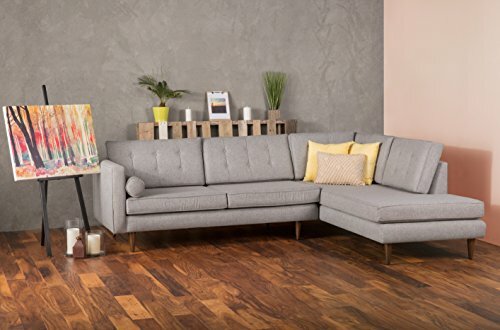 It's unique and adds a lot of warm brown shades to any room you decide to place it in. The planks are also decently sized, so you'll be able to get decent coverage from each one, and adjust them accordingly for corners. The multiple methods for installation allow you to choose what's easier and more convenient, or the option that will offer a long-lasting experience. This can really depend on how often you like to switch out your flooring or trade out damaged planks for new ones. While this is a decently priced option, it's not going to be as budget-friendly as something like a laminate or vinyl plank option. Because of that, it's really a good idea to make sure this is the exact flooring you want and make sure it's able to be placed accurately to minimize waste. The look that comes from these planks is going to be a bit more abstract, which means they may not provide a uniform look. They also may not be as durable as other options due to the lower thickness than you may find with other engineered wood flooring options. If you're looking for something with a warm, slightly worn look then this is a great option. It offers a decent thickness and is available for a median price similar to what you'll find with other engineered flooring options. It's a great choice that brings together the quality look of wood with an affordable pricing option. This option is of a decent thickness, at about 1/2” thick. That's going to allow it to be more durable than thinner options. Most importantly, that can help limit any waste that can occur during the installation process. The planks are also decently sized, and you may be able to get different sizing options through the manufacturer. Like other flooring choices, this one also offers you the ability to choose from a variety of installation methods. That alone allows you to choose the option that is the most efficient or do-it-yourself friendly. The thickness on this flooring option provides users with a lot of benefits. It's going to be easier to install without damaging any planks and can allow for the flooring to last longer than options that are thinner. You'll also be able to choose the best installation method for you, making it highly convenient. 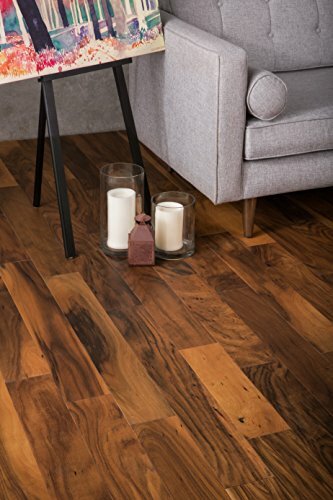 With its warm, dark tone, this flooring has a look that is very pleasing to the eye. It's prefinished and is likely to work well for a wide variety of home décor options. Any guests you may have after installing this floor will surely be impressed by the appearance. The look of this flooring is slightly rougher than some of the options that have more of a finish on them. This can still work for those who like the appearance, but it's not going to be a look that suits everyone. It's going to be very worthwhile to get a sample to make sure this flooring suits you before making a full order. It's also an option that might be more expensive than others, so it may require some more budgeting than those designed to be extremely budget-friendly. That said, it is less expensive than many other flooring choices. For those in search of a lighter, smoother coloring, this flooring option is a great way to go. It's a lower-cost engineered wood option that can really brighten up a room due to the lighter shade of coloring. For those who are interested in making a change from darker flooring, it's a solid choice. For each box of this flooring, you'll get just under 33 square feet of flooring which should allow you to cover a decent amount of space without breaking the bank. The 1/2” thickness has the expectation that this floor will be stronger than some other options out there, helping you to keep things looking great and minimizing installation waste. You can also install this flooring in a variety of ways including using glue, nails or the floating floor method. That way, you can use the option that works best for your home, budget and level of home improvement ability. The look of this flooring is welcoming and smooth, offering a more finished appearance than some other options out there. It's a great median color that will lighten up the room while still being dark enough to keep small amounts of mess or debris from being blatantly obvious to visitors. Furthermore, the thickness of this option is going to make it easier to install with less waste and allow it to last longer than thinner choices. It's made to be easy to install overall so those who prefer to do it themselves will be able to get the job done. While this option does have a great look, it's not the most budget-friendly of options. As with any wood option, it's a good idea to take a look into any additions or options you can use to help avoid water damage. The lighter coloring is also going to show dirt and other messes more than darker choices, so you'll have to make sure to keep the floor clean. That may or may not be a problem depending on the preferences of the user seeking to install this flooring option. It may not be the best for environments with small children or pets. For those looking for something with a simple, pleasant look at a decent cost then this is a great choice. It includes a 30-year warranty and has a decent amount of thickness to maintain durability for years to come. With 1/2” of thickness and 3mm of wear layer, you'll be able to ensure that this flooring is durable enough to last for years. It also includes a long warranty that will allow you to trust that you'll be taken care of, if there should be any issues with the flooring. Furthermore, the color of this flooring has a nice, deep shade that will be able to hide messes better than lighter wood colors. It also offers a nice sheen that will keep things looking fresh and new. Many customers have highly praised the simple efficiency of this flooring option. 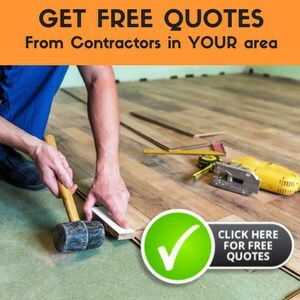 Many customers have found that this flooring comes with great customer service, which is always a great thing to know when it comes to something as important as your flooring. That way, if you have questions or concerns you can be assured that your needs will be met. There are also multiple methods that you can use to get this floor installed in your home. That way, there's something for every skill level as well as the results you're looking for. Once it's in place, you'll surely love the quality look that this flooring option is able to offer. Some customers have found that the color they receive is slightly different than the shade that appears in the online images available for this flooring option. Because of that, it's going to be worthwhile to order a sample before making a full order. That way, you can ensure that you're getting exactly the flooring you want. This also tends to be more expensive than others, which can be an issue for those on a strict budget. If you're interested in this option, it will be a good idea to shop around for pricing offered through different retailers. Waiting to build up the budget for flooring like this can also be a good idea if you don't want something with potentially lower quality. If you prefer a dark wood option, this is a great way to go. It comes at a decent price and offers multiple methods to install the flooring so that you can use the one that works best for you. This flooring option is fantastic for those who want something with a darker, more worn look. Due to that, it's not going to show dirt or other messes as easily as some other shades. It's also decently thick, meaning it's going to be durable and easier to install without much waste. In addition, the 30-year warranty is going to ensure that you are protected for the long term with this flooring. Should there be any issues or damage, you'll know that customer service will be able to help make sure your needs are addressed thoroughly and quickly. This flooring option has a great overall look that many customers love. The darker shade can really add to the overall appeal to a space and it creates a warm and welcoming atmosphere. Many people also find that the customer service provided by the manufacturer is incredibly helpful. For those who are concerned about getting these planks to fit into a more abnormal space, it may help to know that there are multiple plank sizes available to help you with getting the job done efficiently. There are also multiple installation methods you can use to get the flooring installed as you want it. While it does offer a great aesthetic, you may not find the same kind of smooth finish on this flooring that you would with other options. This may or may not be a problem, depending on the kind of flooring you have in mind for a given space. It's also going to be more expensive than some of the more budget-friendly choices out there, so that's important to keep in mind. While it does back up the cost with a great warranty and level of durability, it's still a factor that many people need to consider when shopping for flooring. There are a couple of important factors to make sure you keep in mind while you shop for new flooring. These include the thickness of the flooring as well as the installation method that is meant to be used for it. These two things can affect the ease of installation and results quite a bit. The thickness of the flooring may not seem to be the most important aspect, but it can affect a number of things about the results you get. 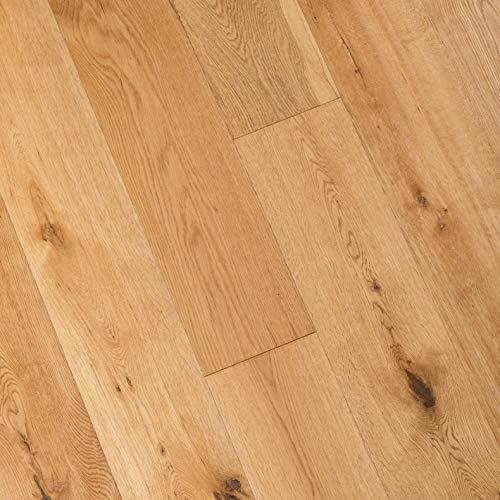 Firstly, the thinner the flooring, the easier it might be to damage it during the installation process. Secondly, a thinner flooring may need an underlayment in order to provide the same kind of comfort and environment that a thicker flooring can. This is important to consider because some may opt to go with thinner flooring options as they tend to cost less. However, if you find you'll need an underlayment as well, then it may just be worth it to spend the money on the thicker flooring option to begin with. That way, you'll have less work for greater results. Not all installation methods are created equal. Some are going to be friendlier to those who prefer to do it themselves than others. If you fit that description, then a floating floor or click-lock option is going to be ideal for you. Meanwhile, the glue and nail-down methods are best left to professionals or those who have a little more flooring experience. Glue and nail methods can also be a little more expensive, as you'll need to purchase the supplies for these options. Furthermore, they tend to be messy. It's generally much easier, cleaner and less costly to go with a click-lock flooring type. That way, you can avoid the added problems and likely get your flooring in a lot more quickly. How much flooring should I get? This is really going to depend on the space you want to cover. 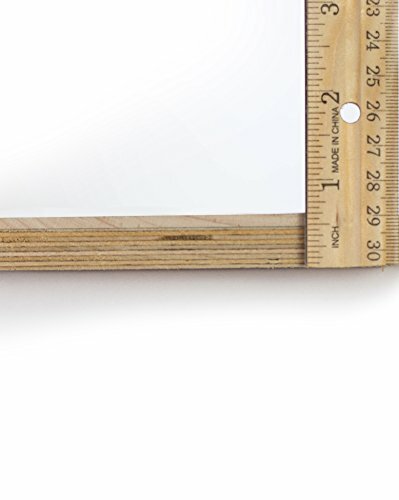 Before making an order, it's a good idea to measure the area and consider how much square footage per box you'll be able to get from a particular kind of flooring. Then, consider ordering some extra just in case some of the planks or tiles are damaged in the installation process. Which installation method is easiest? The click-lock installation method, or floating floor method is going to be the easiest for those who don't have a lot of experience. In this method, the pieces of flooring are simply clicked together as they are laid into place. This option also offers a little more leniency for mistakes as you will have an easier time disconnecting and reconnecting the pieces. 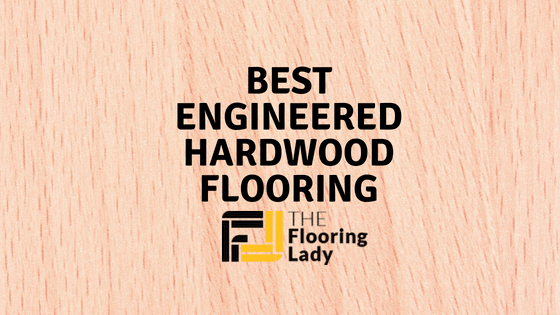 What sets engineered hardwood flooring apart? Engineered hardwood is different from standard wood in that it has a layer of HDF included within it. This ensures that the flooring is stronger than it would be otherwise. You'll also find a veneer layer on this flooring that also adds to the level of stability. Essentially, engineered hardwood is like an enhanced version of hardwood that is better suited to being used as flooring. One of the greatest weaknesses of wood flooring is moisture. Because of that, engineered hardwood is made to have a greater resistance to different types of moisture, from humidity to spills. It's also going to be better to use when you have a floor-based heating system that can warp standard wood floors. Overall, it's a more resilient type of wood that can handle your needs better. What shade/type of wood is best? This is really going to depend on your personal preferences as most engineered hardwood floors will have about the same levels of resiliency and stability. It is important to keep in mind when you make this choice that darker shades of wood will be more likely to hide messes than lighter shades, so you may want to consider the amount of floor cleaning you'll want to do. If you've been considering a hardwood floor and already looked at some options, you may have already run across a few references to engineered hardwood. I recently had engineered hardwood installed in a bedroom and I like it as a compromise between the high price of some natural hardwoods and the unrealistic appearance of laminate. It uses a thin exterior layer of real hardwood over an internal layer of cheaper hardwood, plywood or high-density fiberboard. All other things being equal, it's cheaper than natural hardwood. If you like the look of a rare hardwood but the price tag is a turnoff, you might be able to find an engineered hardwood alternative that is cheaper because it uses less of the real hardwood. You're still getting the good look of the more expensive natural hardwood. You're just paying less for it. This is especially true if you are looking at options that make use of an exotic or rare hardwood that can get incredibly expensive. Engineered hardwood is created in a way that loses less of the wood to sawdust, meaning that there's less waste involved in creating the flooring. This means that the wood portion of the engineered hardwood requires fewer trees to produce the same square footage. 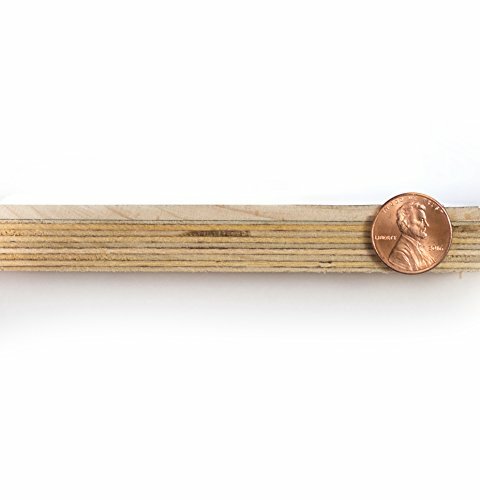 It uses real wood and not an image of wood. This is what makes engineered hardwood different from laminate. 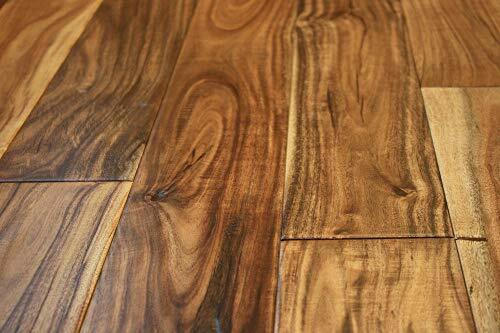 Laminate uses very little, if any, actual wood and won't fool anyone who looks closely at it. Once engineered hardwood has been installed, it's hard to tell that there's a component made of a different type of wood, plywood or fiberboard just by looking because the top layer is natural hardwood. It has lower maintenance needs. Exposure to moisture is hard on most types of flooring. However, engineered hardwood is less vulnerable to the swelling and warping caused by long-term or repeated exposure to spills and humidity. You may be able to find a cleaner that is easy on engineered hardwood, but it'll also do fine with just being cleaned with a damp mop even if you occasionally miss a couple of spots when drying it off. Minor damage can usually be sanded. While it is better to prevent damage to your floor as much as possible, most dents and scratches can be sanded out. It's like erasing a mistake you made with pencil and paper – you're removing the mistake from within the tree-based product and taking a little of the tree-based product out of it too. Once that's done, you won't be able to tell it was there unless you look closely. This is one of the biggest benefits of having an engineered or natural hardwood floor because the ability to sand out damage increases the life of the floor. It's more expensive than laminate, tile or carpet. When compared to the cost of these three options, the price of quality engineered hardwood may be a turnoff if a consumer is looking for a new floor on a tight budget. Some engineered hardwood may be of lower quality. This is especially true of some cheaper engineered hardwoods that use a thinner layer of hardwood or use low quality materials under the hardwood layer. 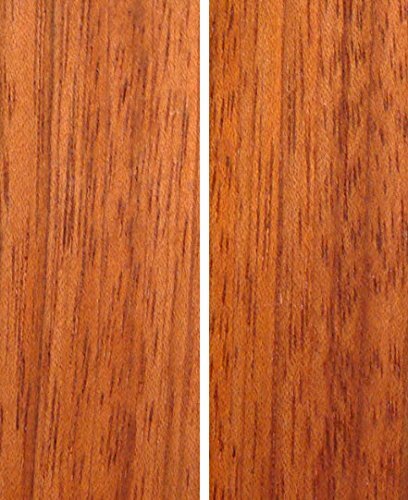 If possible, choose an engineered option that makes use of a quality hardwood center from a manufacturer that has a good reputation for not taking shortcuts. The thickness of the exterior hardwood layer should be about 1/8 inch to allow for sanding out dents and scratches. Hiring a contractor to install your floor is recommended. While this is not necessarily a con, you may have already chosen a high-quality, slightly pricier engineered hardwood floor and don't want that ruined by improper installation. If you're pretty handy around the house and have installed flooring before, you may be fine with installing it yourself. However, you definitely want to make sure you aren't overreaching your skills. Many problems with flooring are caused by improper installation that makes the flooring crooked or leaves gaps between the boards that dirt, debris and liquids can fall into, which could cause damage to the floor. So if you've never installed a hardwood floor before, you may be better off hiring a reputable contractor. 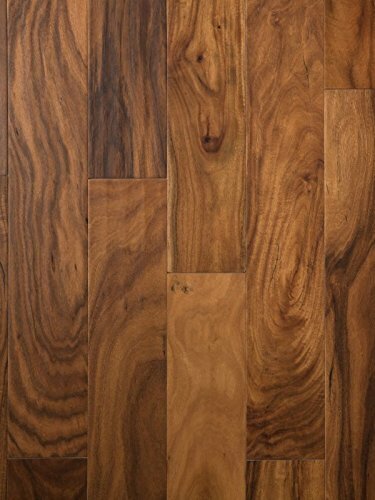 Is an engineered hardwood floor what you've been looking for? 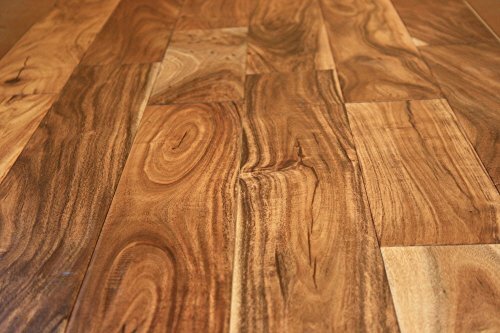 I recommend it for people who don't want to overspend on a new floor but like the look of a rare or exotic hardwood. With the right options, you can get a floor that looks just as good as natural hardwood. 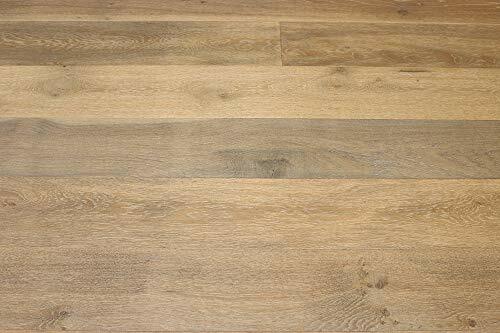 The top option in this article is going to be the European French Oak Engineered Wood Flooring. While many of the options in this list have gotten fantastic reviews, this one comes with the added bonus of being a darker flooring type that will be able to hide messes more easily. It also includes a fantastic warranty and the ability to get different plank sizes to suit your needs. However, if that isn't the look you're going for then just about any of the other flooring options in this list can create fantastic results. Just make sure to shop carefully, consider your needs and budget, and try out samples!